Daytona Motel is a new Danish band. The band is a power trio. This 4 track demo was produced in the fall of 2003. The opening track, Shaker Auto, has a good groove and a cool melodic hook as well. Chicago Blues Man is next and has a strong foot stomping groove. Why do so many of these bands have no guitar solos???? 300 Miles is another excellent song with a great foot stomping groove. The Next Day ends the 4 song demo. A damn good demo! I really look forward to catching the band live in Copenhagen soon! 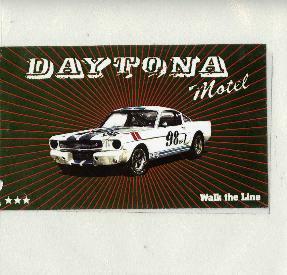 For more information you can email Daytona Motel at: daytonamotel@hotmail.com.